doesn't mean at all that the gods are dead. 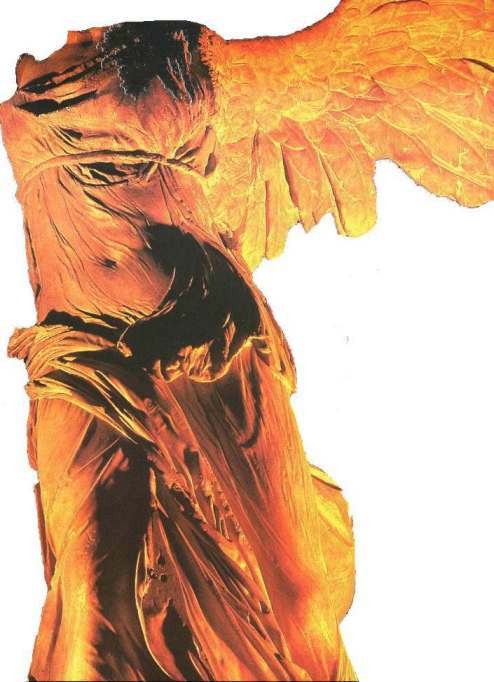 Nike of Samothrace, H 2.45 m, Musee du Louvre, Paris, Inv. MA 2369. 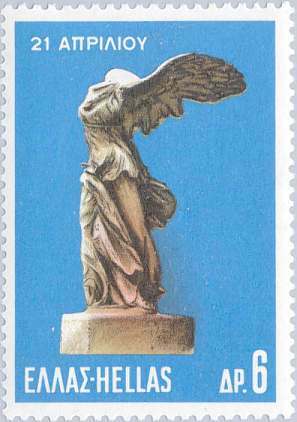 The winged Victory, the goddess Nike (Greek word for victory), daughter of the titan Pallas and the river Styx. Nike's other brothers and sisters are Cratos (Strength), Zelos (Zeal) and Bia (Force). 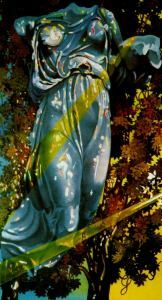 Nike was a symbol of victory for ancient Greeks. 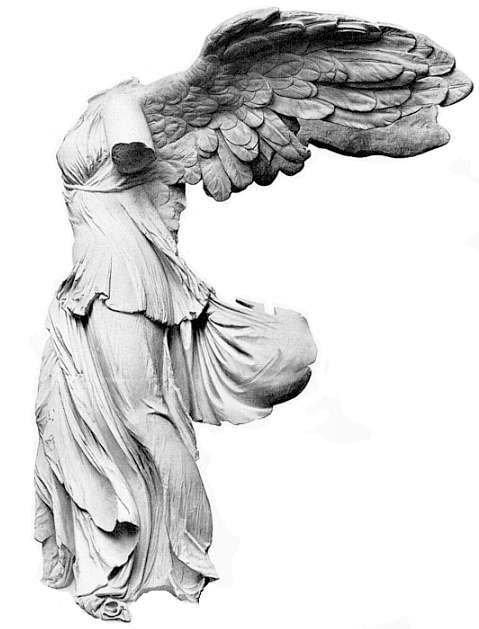 The Nike of Samothrace, from the Sanctuary of Kabeiroi at Samothrace, Parian marble, probably 190 BC century BC from Pythokritos of Rhodes (There is an inscription “Rhodios” that survived at the base). 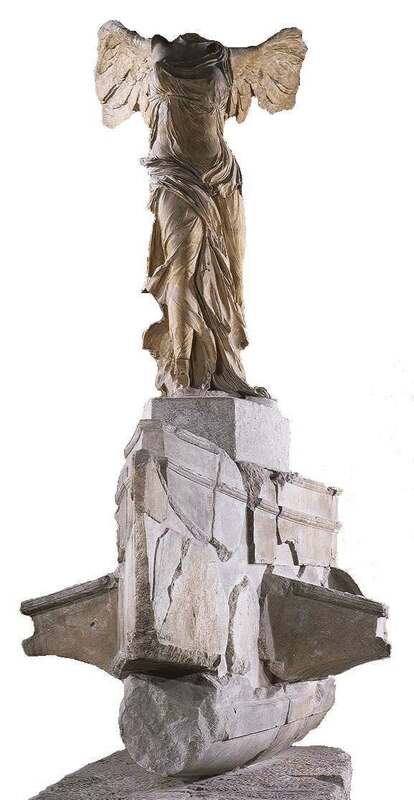 The Nike was found 1863 by Charles Champoiseau broken into several pieces. 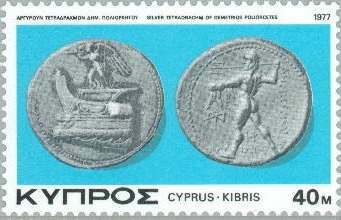 Some say it was created around 250 BC or even earlier if it is an donation of Demetrius Poliorcetes for a naval fight in Cyprus victory. More likely it is associated with a victory of the Rhodians at Side against the fleet of Antiochus III the Great commanded by Hannibal. A hand missing was found in 1950 (Fig. right). 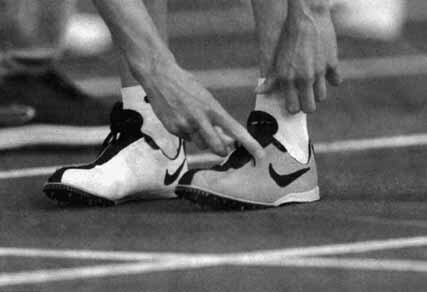 Another hand was found in 1966 although it is not certain that it is really Nike's hand. 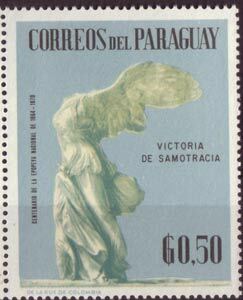 Right figure, a colored version of the Nike of Samothrace. 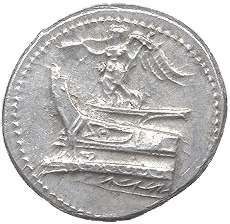 Nike on the Prow of a Ship (Rhodian marble) with the battering ram. 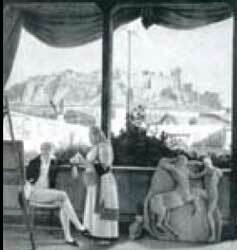 (Louvre Paris, Inv.nr. MA 2369 ). 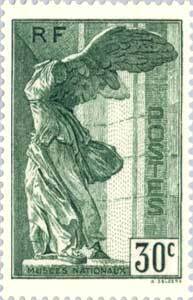 The Nike stands on a block on top of the ship but originally she was directly standing on the ship. The type of ship shown is unknown although some consider it a so called Trihemiolia Rhodian trireme who was very flexible using oars of different length. Dimensions: Height: 2.45 Width: 2.35 Length: 4.3. 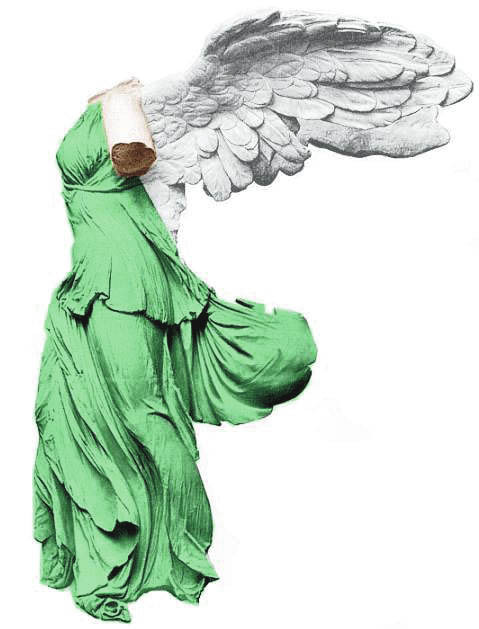 An example of the misuse of Nike by the military regime in Greece celebrating 1969 the 21 April “victory”.